In this article, I’m going to discuss the fundamentals of gardening for self-sufficiency. Most folks are grossly unprepared to meet their family’s food needs in the case of an emergency. At the same time, many underestimate what is required to grow or raise enough food to feed their family. 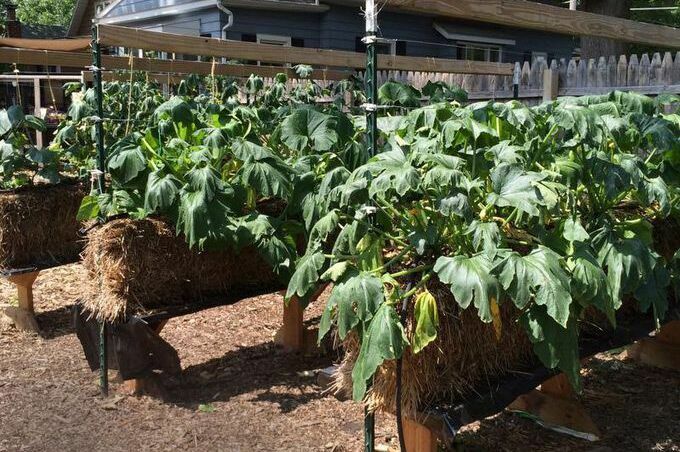 This article will explain what self-sufficient gardening looks like, and how to get started. The food supply is a delicate thing. While the US is one of the most agriculturally productive countries in the history of the world, a number of recent events have highlighted how vulnerable our food supply is to drought, pestilence, economics and government policy. Food prices have seen dramatic fluctuations in recent years, primarily in response to natural disasters, drought, and government mandates. And, according to all indications, this insecurity is only going to get worse. To complicate the issue, a smaller percentage of the population is engaged in agriculture today than at any other time in the history of the world. The result is a knowledge gap that has removed the knowledge and ability to farm from a majority of the population. In essence, we’ve forgotten how to provide for ourselves, and we take for granted that the supermarket shelves will always be stocked with affordable food. Some folks realize the potential danger in over-reliance on a potentially insecure food supply chain. To compensate for the potential disruption of this supply, many of these people choose to store food, relying upon a fixed, finite resource to feed their family. This is a fine short-term strategy and will supplement or replace food purchases for as long as supplies last, but usually isn’t a viable long-term strategy. Stored food also raises certain health concerns when consumed for long periods of time. Whether food stores are stolen, spoil, or simply run out, they are no substitute for a long-term, sustainable food production plan. For people interested in being able to provide for their family’s needs, a better solution must be found, one that provides a consistent source of nutrient-rich food year after year. Imagine knowing that all of the food you need for the year is stored in your root cellar, or still hidden in the soil of your garden. This has been the comfort of small farmers for thousands of years, and it is a peace of mind that many today should consider reclaiming. A large garden or small farm can typically provide almost anything a family needs. Depending on where you live, and the crops that you can cultivate, most people require between 0.4 and 0.6 acres of fertile land to grow enough food to meet one person’s dietary requirements for a year. Unless you live in a temperate climate where year-round production is possible, you will have to focus on crops that can be stored or some type of controlled environment agriculture, i.e. growing in a greenhouse or high-tunnel. 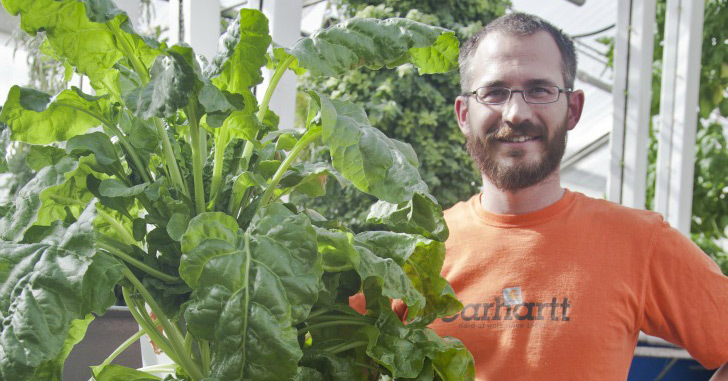 With something as simple as a high-tunnel, the growing season can be extended with very little energy inputs. There are also many passive greenhouse designs out there that enable low-cost year-round production. To know what you must grow, you must know what your family will need to survive and stay healthy. A good assumption for anyone trying to meet their families nutritional needs, each person will require around 2000 calories per day. To achieve this, we will have to grow enough produce that this need can be met. This means that we’ll need to grow high-calorie crops in addition to nutritionally dense crops. To start, you must put together a crop lineup that offers the maximum productivity (in calories and nutrition) and minimal input per square foot of garden space. Calorie dense crops should compose around 80% of your garden. These crops should be a mixture of potatoes and grains. In areas where grains cannot be grown, potatoes can be substituted, and in areas where potatoes cannot be grown grains should be substituted. Potatoes: Potatoes are at the top of the list. Potatoes are one of the most calorically dense crops you can grow per square foot of garden space. Fairly easy to cultivate, harvest and store, they grow well everywhere from Alaska to the Southern United States. Potato production should compose between 50-65% of your survival garden (around 11,000 square feet). 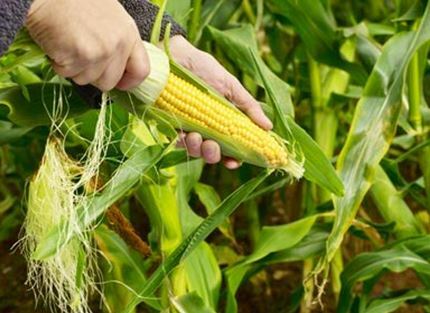 Corn: Corn is a productive grain that’s much easier to harvest for beginners. Corn is a calorie dense crop that stores well and grows well in most of the US. Corn and other grains should compose between 15-30% of your survival garden area. Barley: Barley is a hardy, grow-anywhere grain that fed much of the northern hemisphere before the introduction of wheat. It’s highly tolerant of a number of soil conditions and is adapted to a number of climates. Barley also takes up a great deal of room though and requires specialized harvesting and processing. If you have plenty of room, barley is worth considering. Winter Wheat: Similar to barley, winter wheat is a great northern grain crop that is calorie dense. However, like barley, it requires a lot of room for cultivation as well as special processing. Legumes are another important part of a survival garden. These crops are typically beans, and they are an excellent source of protein as well as nutrients. In addition, these crops fix nitrogen, so using them in rotation with other crops improves the fertility of your garden. Peas: Shell and snap peas are a valuable addition to the garden. As nitrogen-fixing legumes, they also increase the fertility of the soil that they are grown in. 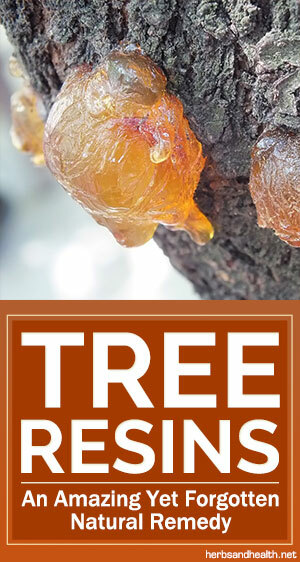 They are relatively nutrient dense and are relatively simple to grow. Soybean: Another legume, soybean is easy to grow and productive. The protein-rich beans from this crop are easy to store and can be eaten in a variety of ways, including raw, cooked, dried and ground. This plant also increases soil fertility where it is grown (380 calories/cup of soybean). Carrot: Carrots are an excellent easy to grow root crop that stores well and are nutrient dense. They are an excellent source of beta-carotene. Beet: Beets offer a nutritional double whammy, offering a great deal of nutritional value in the form of beet tops or greens, while the storage-friendly beetroots offer calories and nutrients. Brussel Sprouts: Brussel sprouts are a good spring and fall crop for survival and victory gardens, tolerating cool and cold weather, and keeping well into the cold months- often on the stalk. Some varieties bear prodigiously, offering excellent production per square foot of garden space. Brussel sprouts are a great source of minerals and nutrients and a great addition to any survival garden. Cabbage: Cabbage is another cold-tolerant crop that will tolerate a frost and stores well. Some varieties grow heads up to 22 lbs in size, offering excellent productivity per square foot of garden space. Garlic: Garlic has a surprisingly high-calorie density, can be grown in a broad variety of climates, is simple to cultivate and stores very well. It also has health benefits and tastes great. Consider adding garlic to any survival garden. Squash: Along with beans and corn, squash was one of the original “three sisters” in American Indian agriculture. Squash are vining crops that store well and have a good balance of nutrients and calories. Consider trying pumpkins and melons in addition to squash. Other Crops: There are a number of other great crop selections for victory gardens and survival gardens. When choosing crops, take into account the caloric density of the crop – i.e. 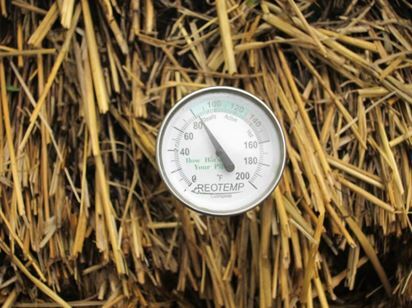 how much energy is stored in the crop, and nutritional qualities of the crop. Remember that staple, calorically dense crops will form the core of your diet, with nutritionally dense crops keeping you healthy. Also, consider how densely the crop can be planted- i.e. 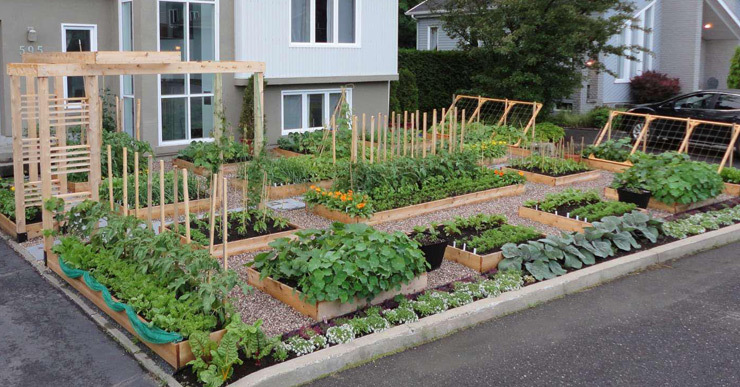 how much you can produce per square foot of garden space. Growing these crops in these proportions will supply a single person with all of the calories and nutrients not just to live, but to live well. More Americans need to consider supplementing their food purchases, if not replacing them. Most folks are not prepared to provide for their family if the food supply is disrupted. By planting these crops, you can take charge of your food future and take part in this old American tradition of self-sufficiency. So here are the beginning plans for a victory garden, the launch pad for taking charge of your food supply. You do not need to depend on an unreliable or overpriced food supply. If you follow these guidelines you’ll be on track to produce enough to feed yourself. The results may not just be life-saving, but life-changing. There is a great deal of power in having a garden.